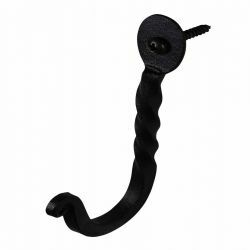 Our Wrought Iron J-Hook is hand-forged in the traditional blacksmith manner, using handcrafted techniques and tools. 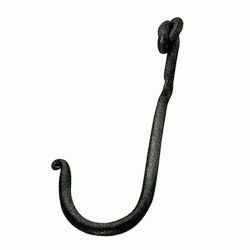 Our Large Wrought Iron J-Hook, is hand-forged in our own New England forge by our skilled blacksmiths. 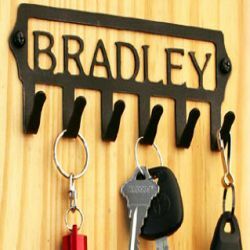 Made of strong 3/8 inch iron stock, it's larger size has many uses, including organizing mudrooms, hanging pots & pans, as a plant hanger, or as a great spot to hang your dog's leash. 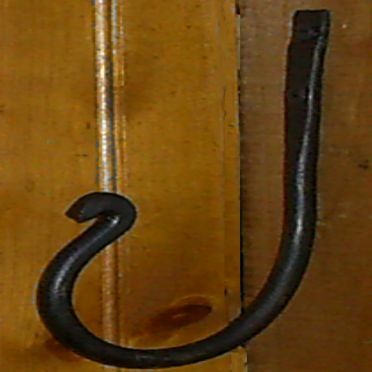 J-Hooks have been around since the first days of blacksmithing and had many uses inside & outside the home. Measures 6-1/2 inches in height, with a 3-3/8 inch projection. Mounting hardware is included. 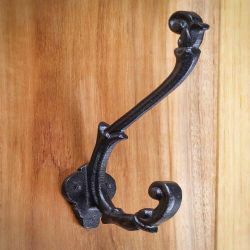 This is a lovely and beautiful wrought iron hook. 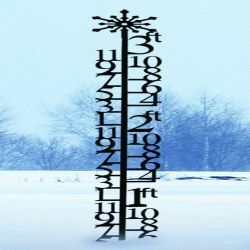 We bought several of them to hang in our hallway. 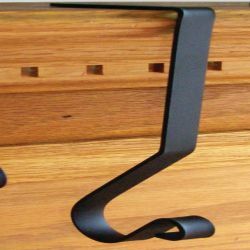 We are very pleased with the quality, price and craftsmanship. These are great hooks to help organize clothes and are stronger than I thought they would be.